You live together or attend a person with initially mild dementia. Your spouse, your life partner, your mother, your father, your relative or any other close person glides gently but unstoppable in an increasing dementia and finally in the Alzheimer’s dementia. The initial attendance becomes a caring and in the end a nursing. One hour per day, afterwards the whole day and ultimately around the clock. And this every day. You are doing all that with great dedication and admirable patience and endurance. You subordinate your own needs to those of the person you care and nurse. 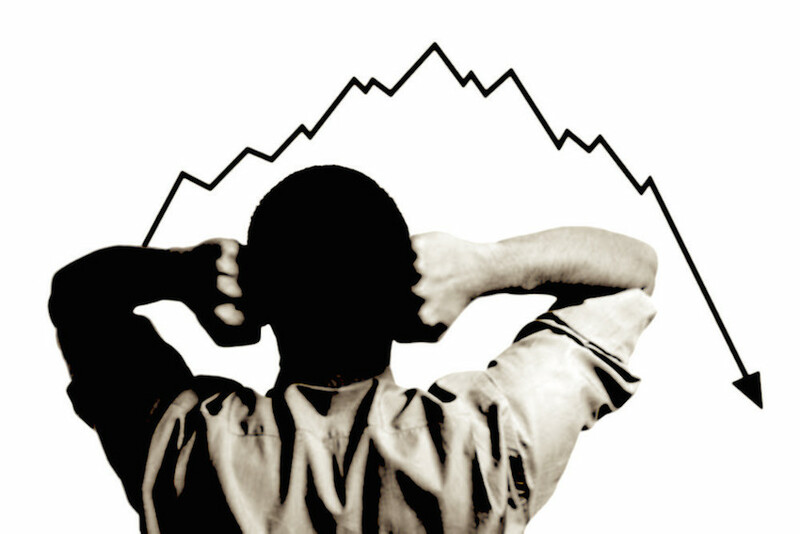 Almost unnoticed you get to the breaking point of your own capacity. You are threatend with absolute exhaustion. Do not let it go that far. Contact information centers for dementia and Alzheimer and examine which kinds of assistance are beeing offered for dementia affected people but also for yourself. For nursing relatives along with dementia affected people, Lanee’s Residenz offers vacations or at least great relief. While the support and care staff of Lanee’s Residenz take over the support and care of the dementia affected person, you can pass on the responsability partly or entirely. During this time you enjoy your vacation, recover and relax. You have the best know-ledge of your relative respectively the related person you have taken care of so far by yourself. Depending on the situation you can participate in the support and care or leave it step by step completely to the support and care staff. This vacation package is offered from 2 weeks up to 3 months. If imaginable use your vacation also for the evaluation and preparation for a long-term stay of your relative respectively related person or decide for a long-term stay at Lanee’s Residenz for yourself together with your relative. 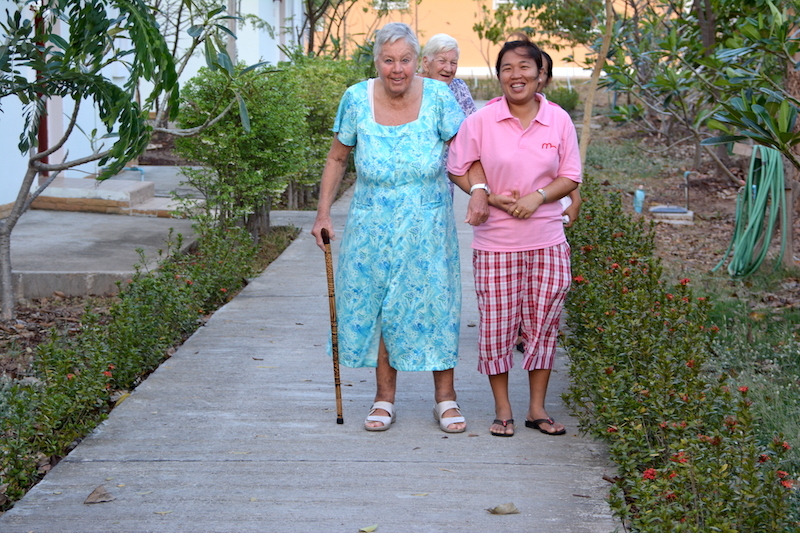 The dementia affected person who is entrusted to Lanee’s Residenz during the vacation is usually living together with the support and care team in one bungalow. In this case the relative or responsable person lives in the Lanee’s Residenz hotel. That way he can «release» and recover. According to the needs of the dementia affected person, the relative or responsable person can live alone with him in a bungalow. In that case the support and care staff will simply give you the necessary support. During the stay in Thailand the relative or responsable person can spend the vacation in Lanee’s Residenz. In this way he is always near the related dementia affected person. 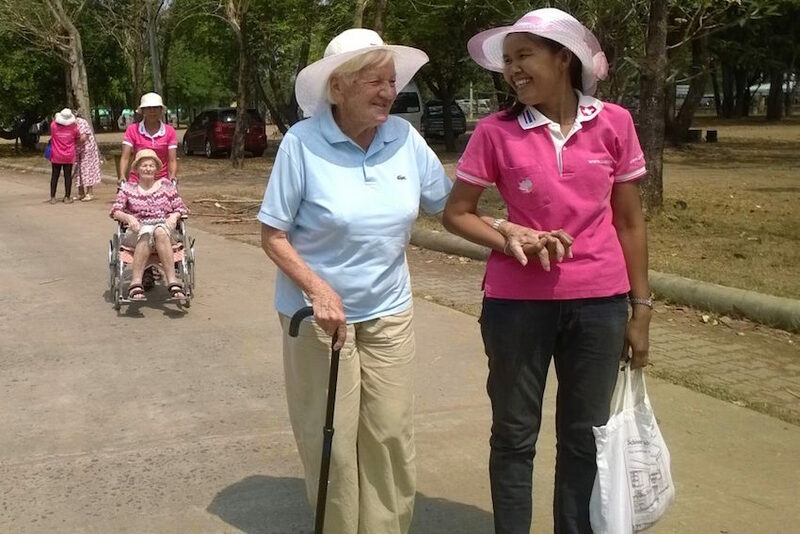 To create a bit more distance from the rendered work so far, the relative or the responsable person of the dementia affected person can also just accompany him to Lanee’s Residenz and then, after a few days of getting him accustomed, enjoy quite easy vacations anywhere else in Thailand, before picking him up for the journey back home. In this case the support and care during this time will be performed completely by the support and care staff. What ever option will be chosen, Hans-Jörg and Lanee would like to support you for any kind of needs which may accure with the journey to Thailand respectively with the onward journey to Lanee’s Residenz as well as with your journey back home. In any case the transfers from and to the defined airports in Thailand can be organized by Lanee’s Residenz. Please do not hesitate to 〉contact Lanee’s Residenz. Hans-Jörg and Lanee are pleased to forward you a customized offer.